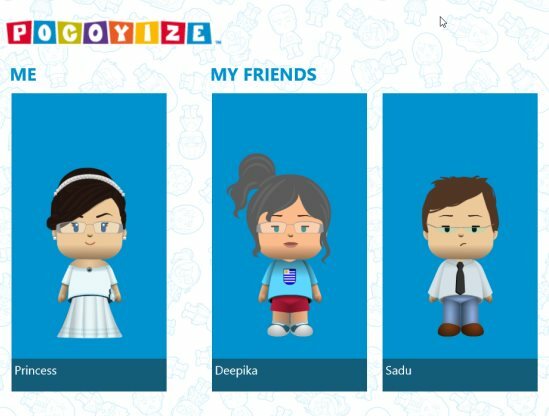 Pocoyize App is a free character animation app for Windows 8 which allows you to create you pocoyo-style avatar of your own’s and of your friends using the cartoon animated character. Pocoyo-style avatar basically, lets you create avatar under your friend’s name by using the several awesome features such as use the similar hairstyle as your friend’s, similar dressing, specs(if she/he wears), similar beard, lips, eyes, and many more. It’s a full entertaining app. Each feature comes up in various color so that it becomes easier for you to select blue colored eyes, in case any of your friend’s has such eyes. Colors such as grey, yellow, red, blue, green, black and many more have been provided. This application is very ease-to-access. You just need to click on one give to give it a similar appearance to your friend’s. As you click on one, various options will appear below like save, edit, remove and the like. You need to click on “Edit” option which takes you to the effects page. Also, check out our post on Kids Song Machine For Windows 8. The best part of this character animation application is that you can create more than one animated character in “me and my friends” option. 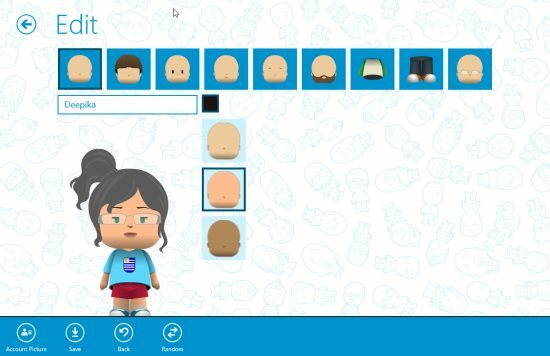 Enables you to create your friends or your own pocoyo-style avatar. Offers various features like eyes, spectacles, hairstyles and more. Create multiple characters using add option. Save your animated character and edit them any time. Do not miss out Puzzle Game For Windows 8. Pocoyize app is a nice entertaining character animation app for Windows 8 in which you can create animated cartoons characters in a fun and crazy way. Go ahead and try this app from the App Store of Windows 8 under the “Entertainment” category.